Make water temperature reach to the required temperature by heating water and direct cooling way. 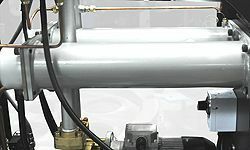 Use turbo pump to offer power source for water to run between the mold and the machine itself. 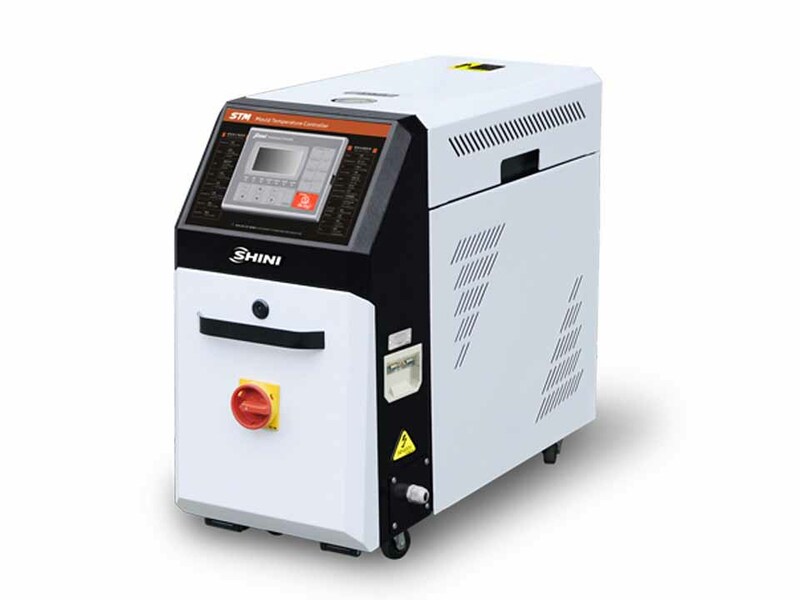 STM-W series water heaters have both standard and high temperature models, which are used to heat up the mould and maintain temperature, although they can be used in other similar applications. High temperature water from the mould is returned to the cooling tank and cooled by either indirect cooling (For high temperature and high temperature plus pressure models) or direct cooling (For standard models). It is then pressurised by the high-pressure pump, sent to the heating tank and finally to the mould with a constant temperature. The OMRON temperature controller can maintain an accuracy of ±0.5℃. P.I.D. 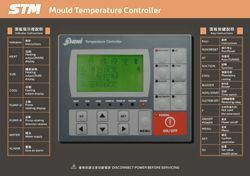 multi-stage temperature control system can maintain a mould temperature with an accuracy of ±0.5℃. Adopts high efficiency water cycle pump, which can meet the demands of temperature control for precise moulds and mould loop with minor diameter to achieve precise temperature control and high efficiency heat exchange. 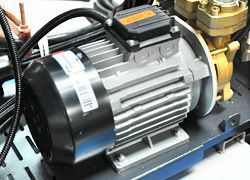 Pump inside adopts stainless steel to avoid explosion. For standard STM-W, the heating temperature can reach 120℃, while for STM-PW, it can reach 160℃.Equipped with high pressure protection, safety pressure relieving, automatic water supplying and air exhausting. STM-PW adopts indirect cooling, which makes temperature control more precise. The low viscosity of water realizes fast heat exchange. STM-PW series adopts magnetic pump with stable performance and no leakage, suitable for applications which need long time heating and temperature maintaining. 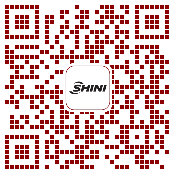 Water-removing function of air blowing is optional for STM-W standard machine.